From July 28th -30th 2017, the HWBOT World Tour crew will return to Cape Town, South Africa, attending the Electronics & Gaming Expo (EGE) event. 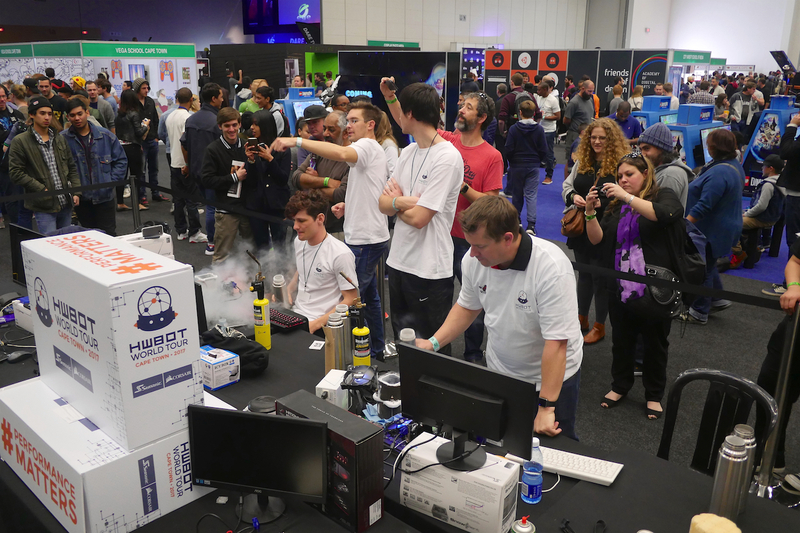 Hosted at the Cape Town International Convention Center, gamers and technology lovers will be treated to three days of competitive Overclocking as the continent’s most talented Extreme Overclockers compete in the World Championship Qualifier contest. As well as witnessing some world class competitive overclocking, South African extreme overclockers are also invited to a social oriented Overclocking Gathering, while all attendees at EGE are invited to learn the basics of Overclocking at our OC Workshops. Learn the basics, then compete against your peers. Who knows, you might just get hooked! All EGE attendees are invited to get hands on and discover what overclock is all about for themselves. Using the latest hardware provided by our partners, experienced overclockers will hold workshop sessions that teach you the basics of what overclocking is all about; how to tune the CPU to make the system run faster, how to adjust the voltage settings to get more out of the CPU and how tweak other settings to help raise your score. As well as expert tuition, workshop attendees will be given the chance to submit their best score to the OC-ESPORTS platform. Score as highly as possible and you could be one of two overclockers invited to compete in the Ambient World Tour contest on the last day. Prizes will be made available for the winners! Note: Workshops attendance is free to all EGE attendees. No ticket required. The Ambient World Tour contest is open to workshop attendees and all HWBOT Rookie, Novice and Enthusiast league members. The Overclockers Gathering is place for overclockers to meet and enjoy overclocking together in a relaxed environment with lots of LN2 provided. The event is a BYOC (Bring Your Own Computer) event. To take part you need to purchase an LN2 ticket via this EventBrite event page . The LN2 ticket also includes an entrance ticket to EGE 2017, and will allow you to take part in the Overclocking World Championship Qualifier (see below). The OCWC Qualifier contest which will consist of a qualification round on July 29th where competing overclockers will be given three hours to score as highly as possible in three benchmarks. Scores will be be submitted to the OC-ESPORTS platform. CPUs will be provided by drawn at random in two Semi-Final 1v1 matches, followed by Bronze Final and Grand Final 1v1 matches. Who gets to compete? Simple. Extreme overclockers present on 29th are invited to submit scores to the OC-ESPORTS platform across three different benchmarks, taking advantage of the copious LN2 provided. The four highest scorers across all stages will be invited back to compete on the last day. Participation: The Overclockers Gathering is open to all HWBOT members in possession of an LN2 ticket. Tickets available here. Note: Standard HWBOT World Tour rules will apply, however we will bring you updates regarding specific hardware restrictions, stage benchmarks etc. The Electronics & Gaming Expo is a 3 day event being held from 28th July to 30th July 2017 at the Cape Town International Convention Centre (CTICC) in Cape Town, South Africa. 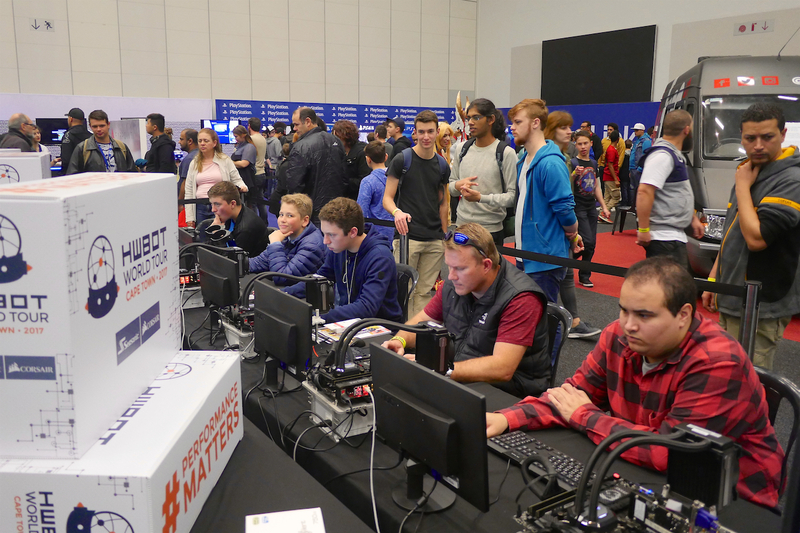 This event showcases products from the technology industry including PC and console gaming, computers and software, figurines, comics, geek products and much more. Address: CTICC (Cape Town International Convention Centre) Convention Square, 1 Lower Long St, Cape Town 8001, South Africa. LN2 tickets are available now from this Eventbrite page.